Fanning the Flames of the Revolution – Down Syndrome Everywhere! We all have a different perspective on what is “normal.” In my lifetime, those with special needs, disabilities, diffabilities, whatever term you choose, have always been present. Some people live their whole lives having barely any contact with people with Down Syndrome or autism or cerebral palsy. Sure, they see them and notice them in the distance, on the periphery, but they’ve always managed to avoid direct contact, except maybe at the checkout of the grocery store. 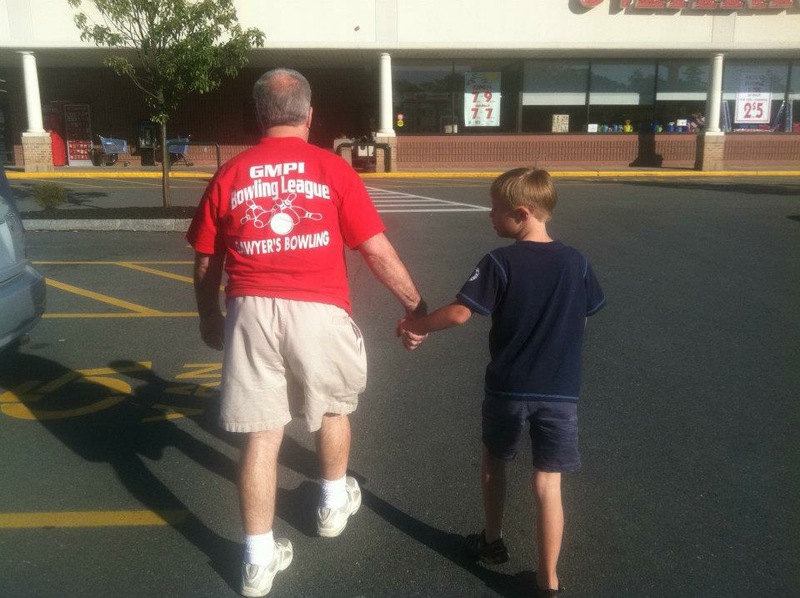 My special needs big brother and my Down syndrome son, sharing what we all have in common: love. But also in my lifetime, if only the last couple of years, there has been a huge shift in the presence of Down syndrome people in the world. Sometimes it seems like they’re everywhere! And their definition of “normal” includes a huge dose of love. Do you know how many Down syndrome people there are in the world? No one really has an accurate number, but the Global Down Syndrome Foundation says it may be as many as six million. It could be even more. And for me, the cool thing about Down syndrome is that it is spread across the globe, in all societies, economic conditions, religions, races; it’s everywhere. And unlike most global issues, I believe that when we consider Down syndrome as part of this world, there is one thing at the core of all the discussions, something that everyone everywhere has in common: love. Writing a book is a HUGE project. I don’t even know how far through the project I am. But, everyday I am reminded of its premise; that Down syndrome people all over the world are leading other people , or at least those that pay attention, with love. Down Syndrome Everywhere! is just my attempt to fan the flames of this #RevolutionoftheHeart. Previous postNothing is wrong. Nothing is missing.